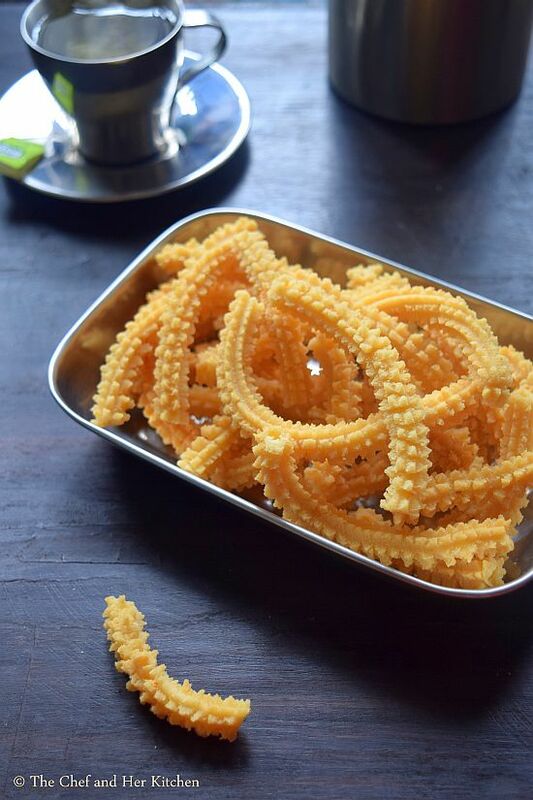 Benne Murukku, Butter Murukku, Vennai Murukku or Venna Murukulu is a famous South Indian Murukku recipe which is prepared in most of the South Indian States. 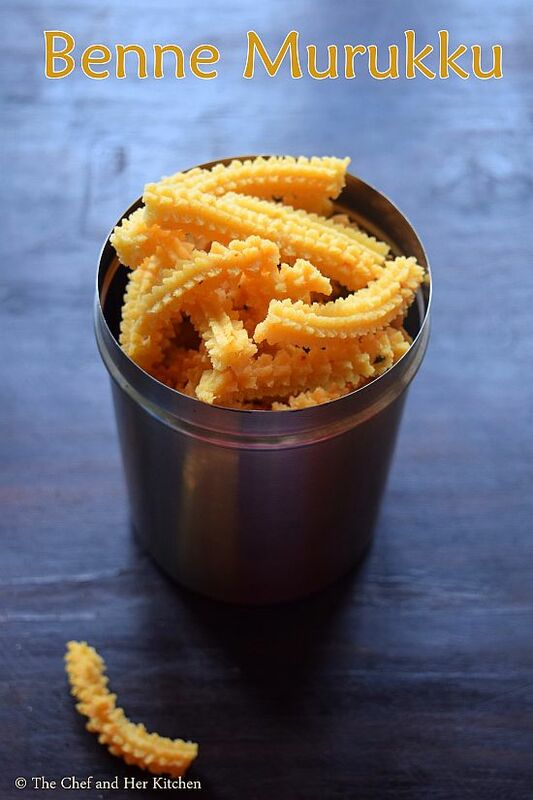 Benne Murukku is a very famous snack in Karnataka and is available in most of the shops.When ever I go to Bengaluru it is a must for me to carry back this Murukku along with various other goodies like Sago Murukku, Chakli,Nippattu,Kodubale and various sweets.This Murukku has a nice buttery taste, they are crispy but soft to bite. 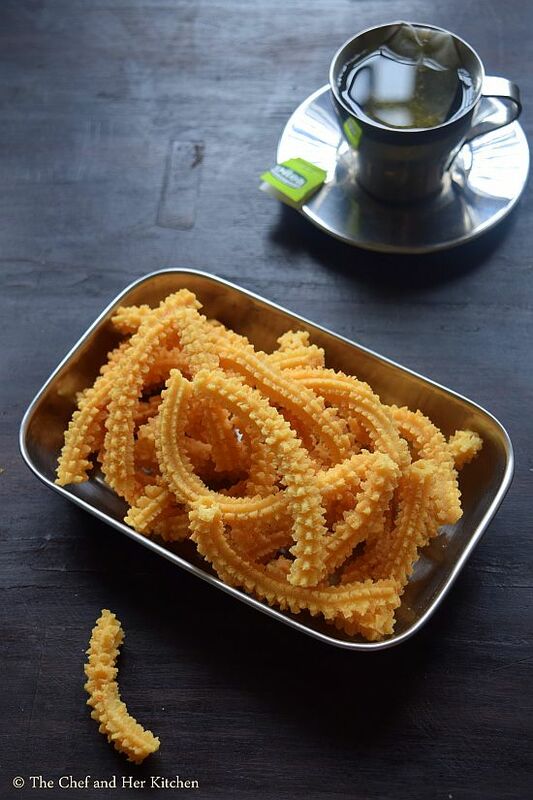 Butter Murukku looks slightly big compared to the other murukkus as we use a single star disc which is big.This murukku is quite addictive and I bet that you will not stop with a small plate of Murukkus. It is ideal to prepare for your Diwali or Holi or Janmasthami celebrations or simply for your evening snack . 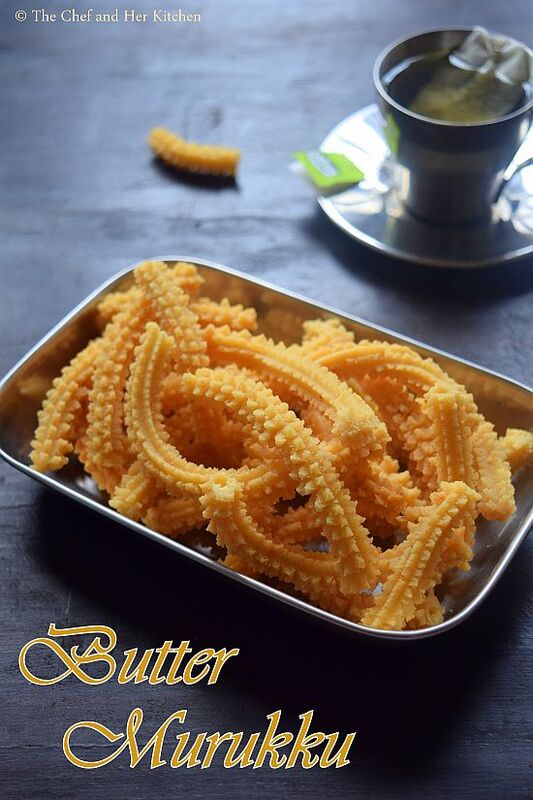 It is a perfect snack with a cup of hot chai or coffee.I have tried my level best to include various tips in my notes section which help you in making perfect butter murukkus.If you are interested you can check out other Murukku recipes here. Sieve Rice flour,besan and roasted gram powder together and put the mixture in a large bowl. Add salt, asafoetida,sesame seeds(or jeera),butter to the flour and mix well until the butter is mixed nicely. Divide the mixture into 2 or 3 parts.Add water little by little to one portion and prepare a thick dough, the dough should be soft to press but little tight to touch.You can mix the whole dough and keep it covered always with a damp muslin cloth otherwise and take required portion each time. Meanwhile heat oil in a kadai.Check if the oil is hot enough by putting a small ball of dough and if the dough raises to the top it means that the oil is ready for frying, keep it on medium flame. Use a big single star disc in a greased murukku maker and fill the murukku maker with a portion of dough and squeeze murukkus directly in the hot oil.Do not overcrowd the pan. Fry them over medium flame till they turn light golden in color and crisp.Turn them in between and once the bubbles subside in the oil it indicates that the murukkus are cooked, you can remove them using a slotted spoon or a steel stick and drain them to remove excess oil. Once it is cooled you can break them slightly to long pieces and store them in air tight container. Serve it with a cup of chai or coffee. If you are making in large batches always divide the dough before adding water and do it in batches which helps in getting perfect murukku or else you can make the whole dough and keep it covered to avoid drying of the dough. You can skip besan and add replace it with more roasted gram powder in the recipe. Do not clutter the kadai with murukku, press in small batches else it will consume lot of oil. The murukkus will be slightly darker after they are fried and turns bit on the whiter side the next day. Do not add more butter than mentioned, else the murukkus become brittle and consume more oil too. 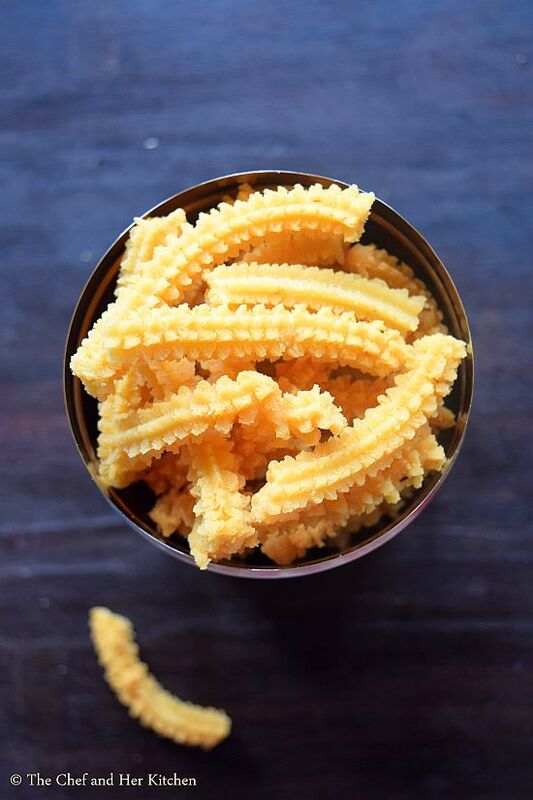 You can even use 3 star disc but single star is ideal for making butter murukku.